Welcome to the Friday Roundup where you’ll find practical tips for marketing your books on the social web. 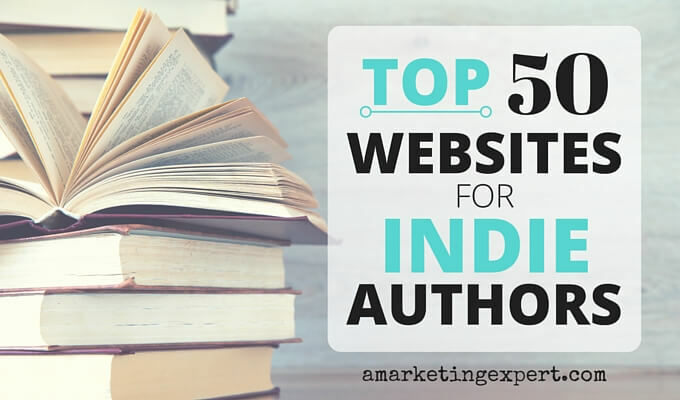 This week’s segment of Resources for Indie Authors tackles the topic of blogging. Blogging takes work, don’t you agree? You need to plan your topics, set up an editorial calendar and follow it. Thank goodness there are tools to make blogging easier. No, there isn’t an application that will do the writing for you, but there are apps that will help you decide on your topics and research them for you. That’s huge. Do you ever have trouble coming up with blog topics? It’s a common complaint. Well, there are two great tools that can help you overcome that initial blog to writing blogs. First up is BuzzSumo. Once you sign up, type a word into the BuzzSumo search bar and the app will tell you how popular that keyword is and how often people are talking about it.This is good information because it can help you decide what you want to write about. If no one is talking about a certain a topic, then there’s no sense in blogging about it because people won’t care. But if you find a topic within your genre or niche that is lighting up the Internet, that’s what you should write about as long as it makes sense for your brand. You can use the free plan and get all the information you need. HubSpot’s Blog Topic Generator is another cool, free tool. Type in three nouns and the generator will create five blog titles for you.For example, I typed the words Facebook, Twitter and writers. What Will Writers Be Like in 100 Years? The topics will also become your blog titles. For me, Grammarly is a must-have tool. Once you sign up, you can either cut and paste your post onto Grammarly’s web page or upload a copy from your hard drive. Grammarly will immediately get to work checking it for grammar errors, redundant words and plagiarism. The cost is $139.95 annually, and I think that price is a steal. I scoured the Internet and found some great posts related to content marketing. First up, is a post from the blogging all-star team at Copyblogger titled Want to Hook Your Readers? Apply These 10 Principles to Create Captivating News Stories. Make sure your text is thorough and succinct. Lead into the story with 25 intriguing words. Quote a source to establish author and support claims. The folks at Copyblogger have more tips in this blog post so you’ll want to check it out. In this post, he reviews all the posts that every WordPress blogger should consider installing. First, he suggests a couple of security plug-ins, Wordfence and iThemese security. They both look great, and you’ll need to talk to your webmaster to determine which one would be best for you. Next up is BackupBuddy. Adam says it’s his go-to backup plugin and one of the first ones he installs on every WordPress website he builds. Another great one that I love is WordPress SEO by Yoast. If SEO confounds you, get this plug-in. It will make the process easy for you, I guarantee it. In his second post, How To Get Better Results From Your Content Marketing Efforts http://blogwzrd.me/1s2iCJU, Adam answers six questions to help people like us understand how we can get more eyeballs on the content we produce. I encourage you to look at this post because it’s comprehensive. 7 Traps Waiting for Successful Bloggers, (Part 2) – is by Joel Friedlander from The Book Designer: In this post, Joel shares tips 4 – 7. Technology – As Joel says, being a blogger meanings spending time online and interacting with technology. It’s always changing and can be challenging but here’s the thing, you’ve got to keep up. Pitches – Once you hit it big, you’ll need to deal with pitches from other bloggers. Burnout – It happens to the best of us. To be successful you need to be true to your commitment. Life itself – Sometimes life can sideline our blogging, right? Well, Joel proposes strategies for dealing with the challenges. It’s a great post so be sure to check it out! Even though this goes against accepted wisdom, I would die happy if I never, ever saw a blog post title with a number in it on my blog reader again (or an “article” that consists of a list, even if each item on the list is a paragraph). Seriously. If you want me to click on your article and read it, be more creative than that.